Babies are a gift to couples. There are many cases when people wish to have a child of their own but fail to conceive. Those who are blessed with a baby are considered to be lucky. Gifting a baby with something useful can be a time consuming task. You may have to spend hours just to think about the right product to gift a baby. Sometimes it tends to get tougher as the baby starts to grow. The gifting options increase which can make you more confused than before. Are you planning to buy a gift for a one year old baby? 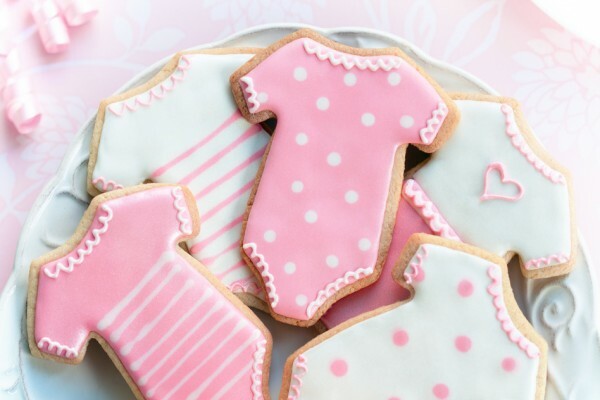 You will find several options to choose from for the first baby birthday gifts. Here are a few ideas which may help you in the process. Shape Sorters: These types of playing items are based on trial and error method at its basic stage. Experts believe that shape sorters help to improve the hand-eye coordination for a child. Stacking or Nesting Toys: One year old babies get a kick out of putting one thing into another. These types of games help improve the motor skills of your child and are highly recommended. Push Toys: One year olds find it tough to balance themselves and walk. Push toys can help wonders in improving their skills at walking and balancing. It also allows them to experience the fun of walking around without the risk of falling down. Musical Instruments: One year old simply love to make loads of noise. Experts have said that musical instruments are one of the best when it comes to learning causality. However, this is only possible if parents can bear loud music. Bathing Toys: One year old babies do not need much convincing to take a bath. However, if you introduce the baby with bath toys then the bathing time can very soon turn into play time. Peg Toys: Small babies love to pound away at anything on which they can lay their hands. Such toys also assist in developing the motor skills in a child. Toy Phone: One year olds tend to imitate their parents in whatever they do. They often use the remote controls and iPods as phones to talk to imaginary people. Gift them a toy phone and they will surely love it. Blocks: These creative toys help to improve various skills in your one year old. Initially they will bang these blocks and even throw them here and there. But with time they will love playing with these. Board Books: Toddlers love to flip through thick pages and see the pictures in these books. Pull Toys: Gift your one year old with a pull toy and he will love to tag it along wherever he goes. You can check for many personalized baby stuffed animal toys collection on many good online shopping store. These are some of the gifting ideas for one year olds. If you ever find it tough to decide upon the right gift for your toddler, spend a few days to observe what he loves to do. This will give you the right idea about an appropriate gift for the baby.